you may think it strange to have a page devoted to customer testimonials, especially for something that initially only seems to be a keyring. well, people rave about this little gadget so much that we thought you should know what they think. email us by clicking here with your testimonial or a photograph of your le hook being used, if we like it we might send you a present. I still have it and use it. It is one of the very very few items that I have ever bought that combines form, function, and durability. It works as well now as it did the day I bought it. I am extremely happy that they are now available again via the original production run. I too have researched to find them in the past, to no avail until now. They are magnificent pieces of art whose function is unmatched. Thank you for bringing them back! I look forward to receiving my “new” ones. I use Le Hook on both my camera straps. It means that I can choose the appropriate strap, for the appropriate camera, for the appropriate trip, and be sure that the cameras are secure. I recently visited Australia, and whilst in a large camera shop buying (another) lens, the sales manager admired the Le Hooks I had on the strap and said it was the best thing he had seen! Many thanks, I have just received delivery of my new Le Hook, only having to wait 6 days from ordering it. My original Le Hook (pictured) has now become a family heirloom. I first bought my hook in York around 1984 and it has been by my side ever since. 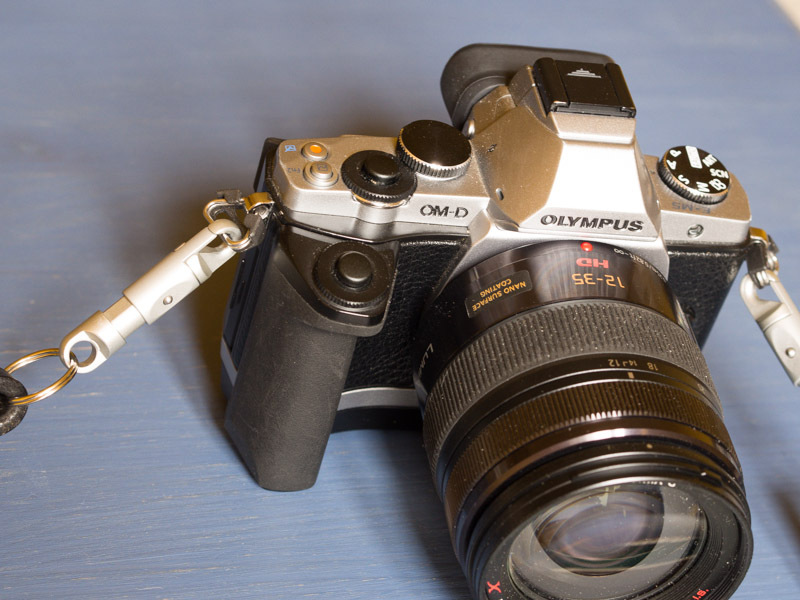 I've tried other cheap imitations and things with retractable wires but nothing has ever come close. Now I have decided to treat myself to a new one. Is it as good? Only time will tell, it certainly looks good. The old one? Still working perfectly and going to my son Andrew. Don't know if my daughter is willing to wait thirty years for my next one though. Might have to have it written in to my will. anywhere, and neither could anyone else ! First of all I am not one to take the time for testimonials, but I will make an exception for this product. In this day age of cheap products there is a glimmering and shining quality light that is know as "Le Hook". Every time I take my car keys from my pocket I marvel at how this product is made and wonder how it was created. It not only marvels me, it reminds me of a time in my life many years ago. It was on a trip to Saudi Arabia in preparation for Desert Storm that I stopped for the evening in Zurich Switzerland. I happened to stop in a small shop at the Airport as I was leaving that I noticed the many sized "Le Hooks". The quality and feel of them seemed to be something I could use on the way to war. I purchased various sizes to include the smaller key ring size. The hooks were useful to all of the soldiers I gave them to for anything and everything that included rope and strapping things down and to us. I left the Desert returning home, but could not get those hooks back from those I gave them to. They came up with many excuses, but none included they had broke. The excuses ranged from I lost them, to they were destroyed in combat. I never believed the stories because I kept my "Le Hook". 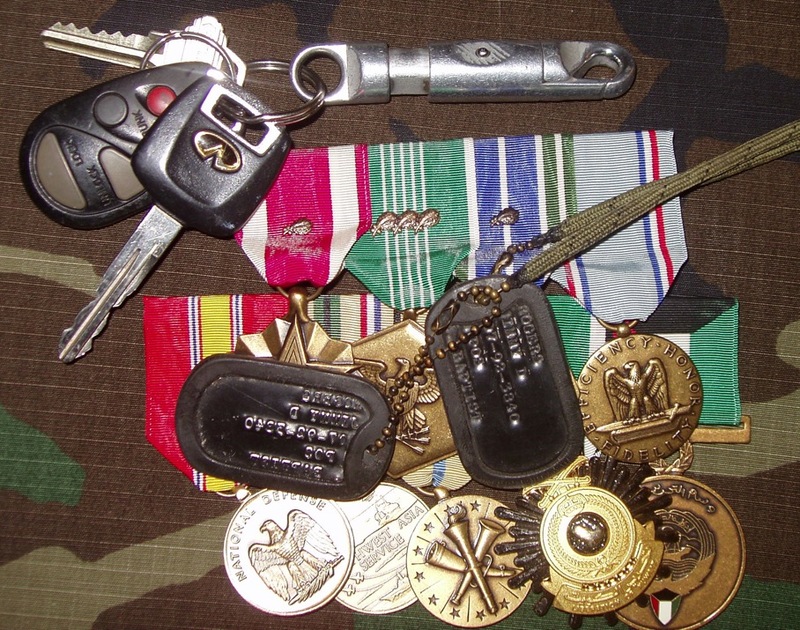 After the war I went on to complete a career in the Army, spent 14 years in the steel industry and now I work at the Home Depot in a semi-retirement position. Yesterday I pulled my keys out and was reminded of the trip that I and Le Hook have traveled together. The hook served me well in combat, carried my keys through the muck, grease and oil of a steel mill and it has become a constant reminder of the last 20 years of my life. Although the embossed "Le Hook" has faded from my Le Hook it has been embossed in my memory for ever. People ask me what that is on my key ring and I laughing say its my beloved "Le Hook" something that has been with me longer then my wife and children. 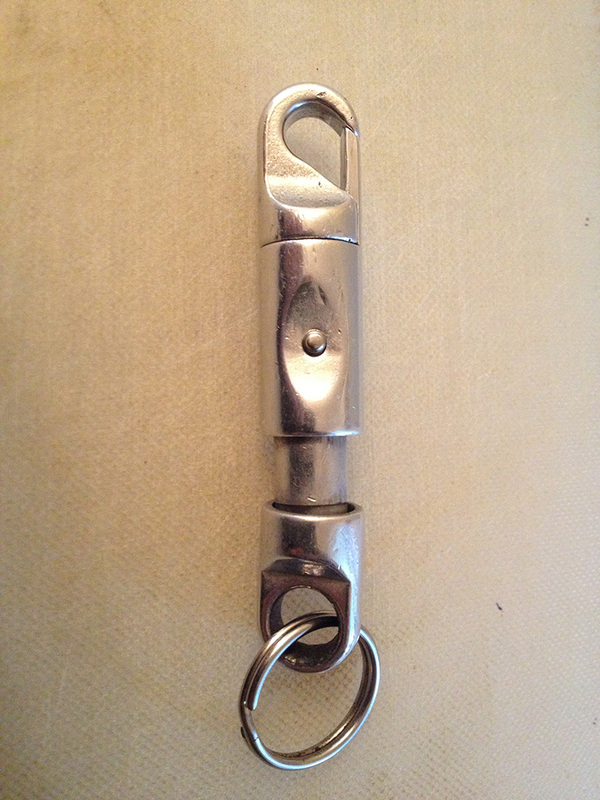 I have used this " K66 LE HOOK" on my everyday keys for over thirty plus years. When I bought it new it was a stunning blue color and it has aged gracefully over the years. The unit is showing no signs of stress, cracking, bending, or metal fatigue. I bought it in the city of Seattle, in Washington State, United States of America in the late 70's. The only time it has left my key ring was for having it's picture taken. The clip has never failed me in it's entire lifetime and the slide mechanism has "never" prematurely opened by accident. I have never oiled the moving parts as it doesn't ever seem to need it. This little b****r is really built tough. I've always wondered how this thing is put together that it has lasted this long. The only negative is that I didn't buy more than one of these thirty years ago. Now I have a chance to get more for all my key sets. I am not affiliated with the manufacturer or distributer of " LE HOOK." Hi , I have had a k50 for probably 15 to 20 years now the black is almost worn off. I bought it from the Gadget shop in Meadowhall , but have been unable to find any since until i found your site . I bought the last ones from you to use to attach camera gear to bags etc.the ones on order now are for my two sons who are both in the fire service and will use them for keys and other gear. I think the design has to be one of the best ever ,simple ,strong and works every time. I would like to order two K50 black and two K66 black le hooks please. I AM A PROUD OWNER OF A LE HOOK FOR ALMOST 20 YEARS. I OWN THE 109MM LE HOOK. FOR YEARS MY COLLEAGUES HAVE BEEN ADMIRING MY LE HOOK AND WANTED TO PURCHASE ONE. BUT FOR MANY YEARS I COULDN'T FOR THE LIFE OF ME REMEMBER THE NAME OF MY HOOK! NAME IS NOT IMPRINTED ON THE HOOK ITSELF. AND I IMMEDIATELY ASKED THIS PERSON IF HE KNEW THE NAME HE TOLD ME IT WAS CALLED LE HOOK AND NOW I AM WRITING TO YOU. I LIVE IN JAPAN AND WOULD LIKE TO ASK YOU IF YOU SELL YOUR PRODUCT IN JAPAN (TOKYO). IF SO, PLEASE TELL ME WHERE I CAN PURCHASE THE FABULOUS LE HOOK! more as my son finds them very interesting as well. They are really cool and gives a good sensation of quality. If I have a spare one... Well they are nice to just have and to hold.. If nothing else.. I am still using the K88 Le hook which I was given about 20 years ago - full marks for design and quality ! as the day I bought it.